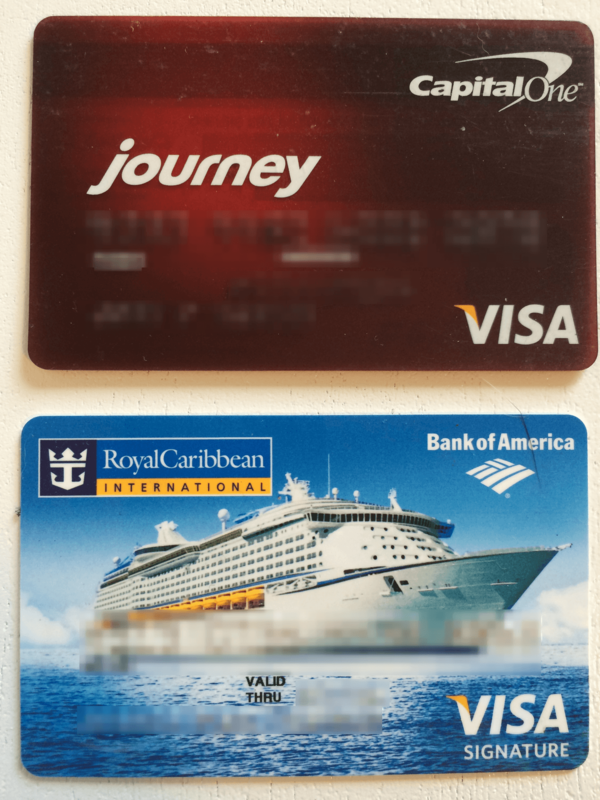 I was recently looking through my “sock drawer” credit cards that I do not use anymore and came across two cards, my Capital One Journey and my Bank of American Royal Caribbean card. 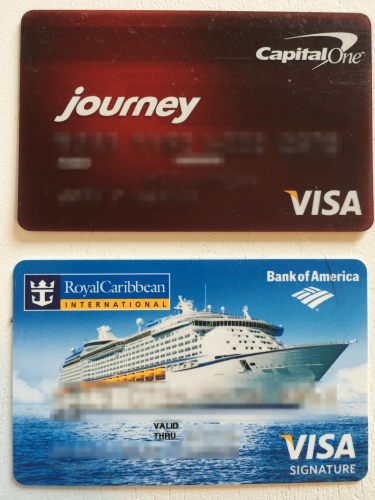 I signed up for the Journey card when I first turned 18 (~3 years ago) and it earned a measly 1% cash back on all purchases, with a 25% bonus on the cash back I earned when the bill was paid on time. The Royal Caribbean card was more recent (~1 year) and earned 1% on board credit back on every purchase. Those two cards are chump change nowadays, but when I first signed up for them they were the bees knees, to me at least. Since they were taking up a very small amount of space and I never expected to use them again, I decided to check on their upgrade eligibility. I first contacted Bank of America. Since I recently heard about their new BankAmericard Better Balance Rewards, I wanted to try and upgrade to that. $25 per quarter towards your balance when you pay more than your monthly minimum payment (Up to $100 a year). $5 bonus per quarter towards your balance if you have a Bank of America checking or savings account (Up to $20 a year). Those rewards may not sound like much, however an extra $100-$120 a year does not hurt since I do not use my Royal Caribbean card at all. From what I have read, if my monthly statement is under $25 and I pay it in full at the end of the month, I will still get the $25 even though I am technically not paying more than my minimum balance. I will have to test this to be sure, however if that is the case I will simply buy a $1 Amazon gift card every quarter. My phone call with Bank of America lasted a total of 5 minutes and they upgraded me without any issues. I should expect to receive the card in the next 3-5 business days and I am very excited about it! Next I contacted Capital One via their online chat system. This took much longer than I anticipated. I was in their queue for about 10 minutes then I explained what I wanted to do to the CSR and waited another 3 minutes to be transferred to the right department – It was a pain. The only card I was eligible to upgrade to was the Capital One Quicksilver card, you know the credit card that Samuel L Jackson is promoting. 1.5% cash back on all purchases. Yep, that is it – very boring. I decided to go through with this upgrade, simply because I don’t use the Journey now and it never hurts to have a new card. I doubt I will use my new Quicksilver, however if for some strange reason I have to use it, at least I will earn 1.5% cash back instead of 1.25%. So, if you have some old credit cards sitting around it wouldn’t hurt to try and upgrade them.